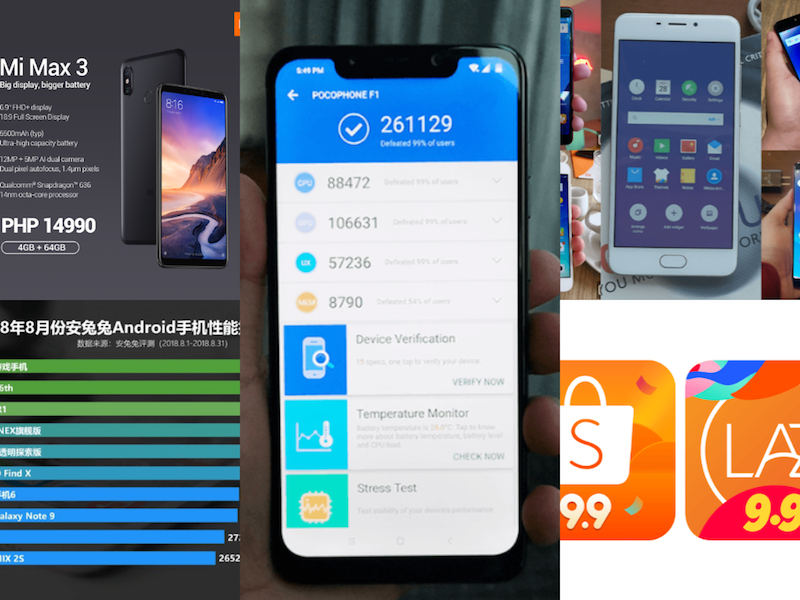 Aside from smartphones, this week's articles with most readership include the country's two big online shopping giants. In our weekly top tech stories, we have always encountered smartphones, laptops, and cameras. But this time, Lazada and Shopee made it to the list. Let's now check out the stories that made up the top stories of the week! 5. 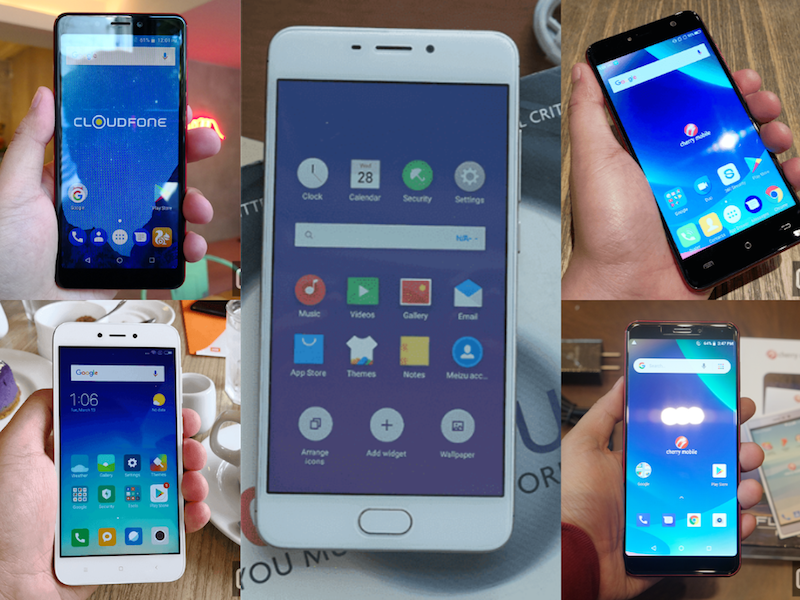 Best budget smartphone under PHP 5K - We heard you so we made a list of the smartphones that will fit the under PHP 5,000 budget without feature slouches. Cherry Mobile Flare P3 Plus, Meizu M6, Cloudfone Thrill Boost 3, Xiaomi Redmi 5A, and Cherry Mobile Flare S6 made up the list. Know why these are the best budget phones in this link. 4. 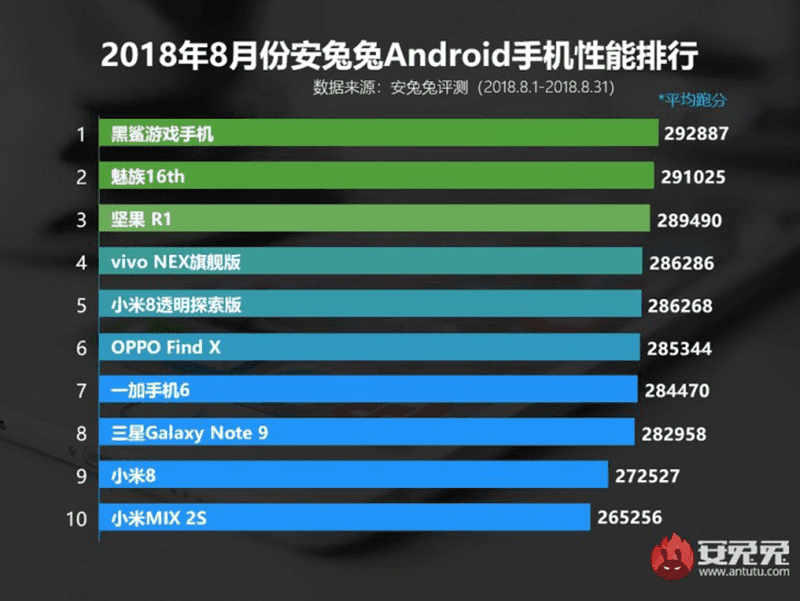 AnTuTu top 10 highest scoring Android phones - The famous smartphone benchmark app released their list and Xiaomi's Black Shark still tops the list with 292,887 score. 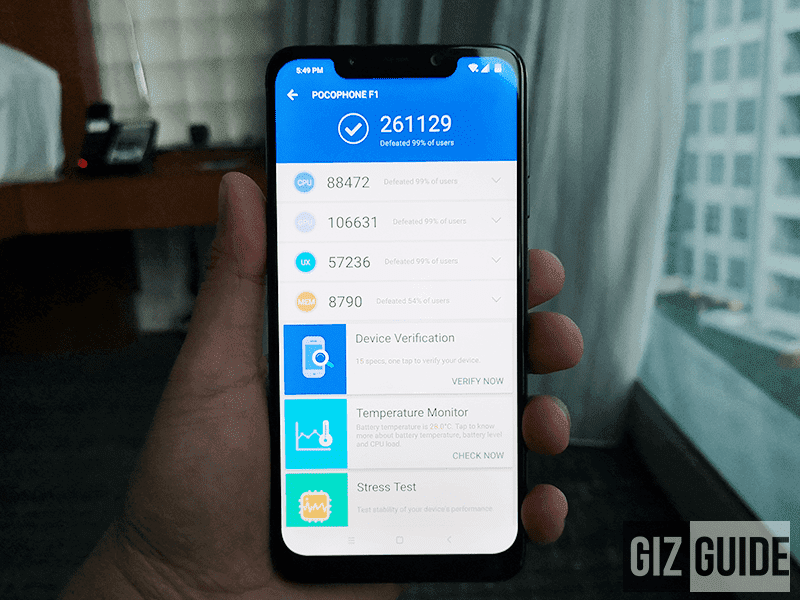 It is followed by the Meizu 16 plus with 291,025 score. 3. 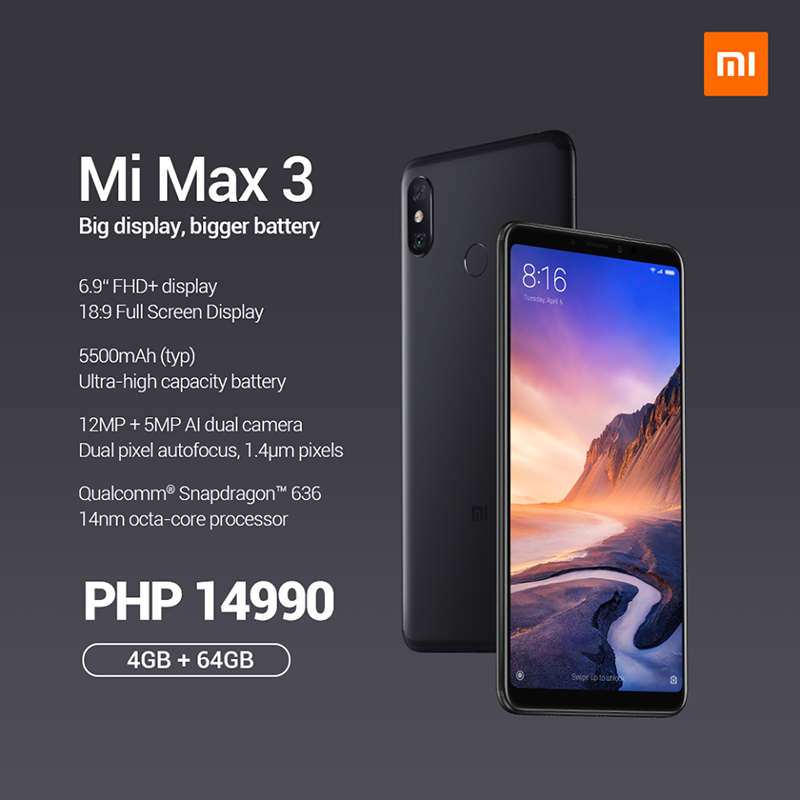 Xiaomi Mi Max 3 availability and pricing - The Chinese smartphone brand's latest midrange phablet will be landing in the country with an SRP of PHP 14,990. It features a 6.9-inch FHD+ screen Snapdragon 636 SoC, 5,500mAh of battery with quick charge, dual rear cameras and IR blaster. Get the full specifications in this link. 2. POCOPHONE F1 availability - The highly anticipated smartphone has landed the country last September 06. It is priced at PHP 17,990 for the 6GB RAM/ 64GB ROM variant and PHP 19,990 for the 6GB RAM/128GB ROM variant. Learn more about the F1's specs here. 1. Shopee vs. Lazada - The most unexpected story to top this week is about the gadget price rival of the two online shopping giants. Both have discounted 100 percent authentic gadgets with the utmost convenience. Also, these two have an on-going 9.9 online sale so make sure to check them out! See our five sample gadget prices comparison in this link. There you go! These are out top stories of the week. What's your favorite story?